Anchored at the heart of the city, the Hotel Georgia has been a cultural hub since 1927—a nightlife destination, a retreat for celebrities, a place to lay down roots. A perfect product of the Roaring Twenties, it was caught up in boom time illusions, something far richer and more imaginative than Vancouver had ever seen before. Behind the building’s simple façade was an interior tastefully designed in the Beaux-Arts tradition. The Hotel Georgia boasted dignity and elegance with walnut panelled rooms, handcrafted cornices and furnishings sourced from all around the world. Such grandeur had considerable star appeal, attracting celebrity guests such as Bing Crosby, Katharine Hepburn, Elvis Presley, Frank Sinatra and the Rolling Stones. 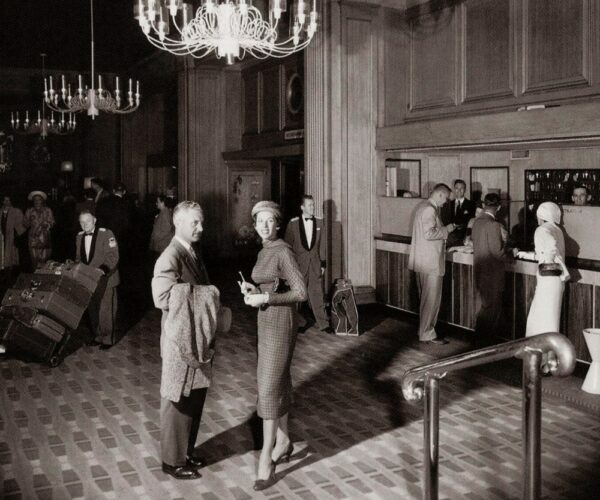 Even the public venues were popular haunts for city dwellers. 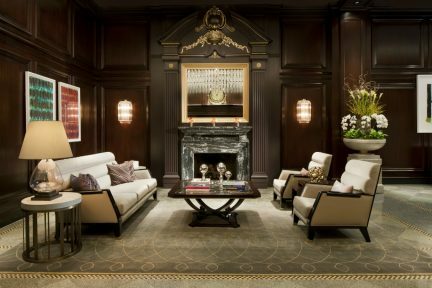 “I think it was quite unique for such a small boutique hotel to have such a large public space,” says Steve Halliday, who will assume the role of managing director for the hotel when it reopens later this year under the prestigious Rosewood moniker. “That’s how it remained a part of the fabric of Vancouver all these years,” he says, pointing to the Cavalier Grill as an example. A top-notch dining destination, it was a place that lawyers and judges would amble over to after a long day’s work to talk shop. There was also the Georgia Pub; when it closed to the public in 1961, ending a traditional campus hangout of 35 years, 300 UBC students rallied against the closure. 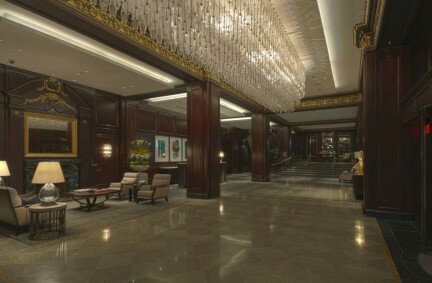 Now, after four-and-a-half years of renovations, the Rosewood Hotel Georgia is reopening on Saturday, May 7. 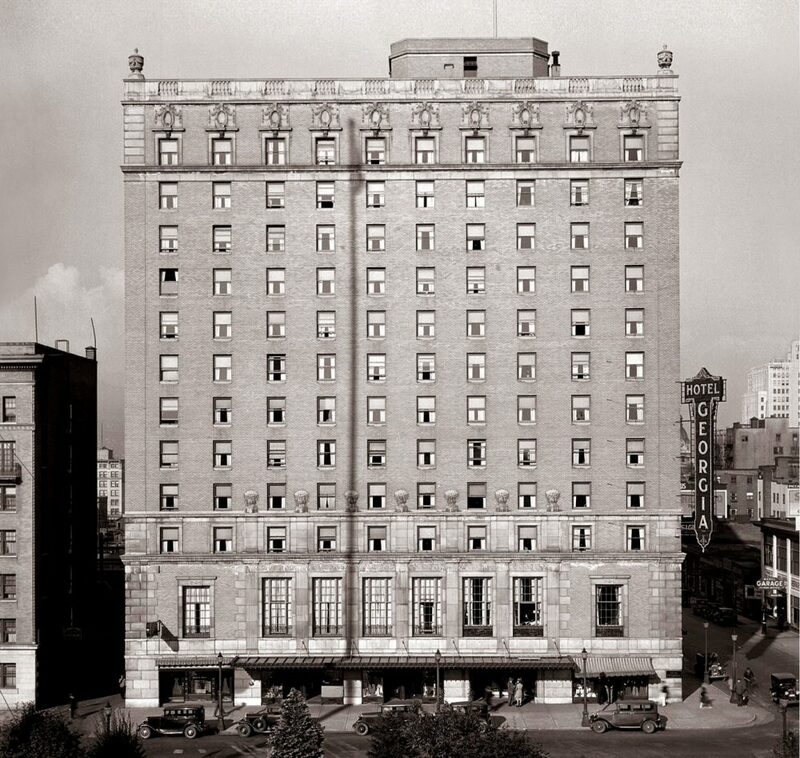 The date is a tribute to the hotel’s original debut 84 years ago, also on a Saturday. When the hotel officially closed in 2006, the lobby clock stopped at 11:07 a.m. It will be restarted at exactly 11:08. “So one minute and over $100-million later, it’s gone from 2006 to 2011,” Halliday says. With the help of Toronto-based interior design firm Munge Leung, the Rosewood Hotel Georgia is now ready to create new memories against its historic backdrop. Inspired by the glamour of the era in which it was built, many of the original design features have been restored, while updated furnishings and technology reflect new standards of luxury. The beloved gathering places of old, while fashioned with new identities, maintain vestiges of their original personalities. 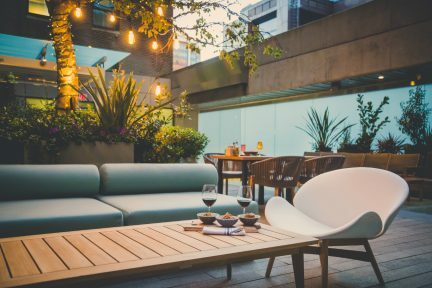 Hawksworth Restaurant will draw denizens with the much anticipated re-establishment of chef David Hawksworth’s signature West Coast cuisine. 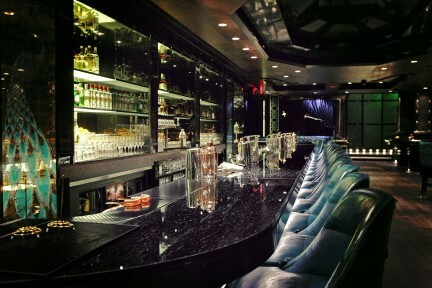 Prohibition—whose name is a nod to the hotel’s 1920s beginnings and Vancouver’s thriving cocktail culture—still derives its atmosphere from a winding staircase entrance, intimate nooks and vaulted ceilings. And the Spanish Ballroom, with stained glass windows and its original minstrels’ gallery, will remain one of the most opulent event spaces in the city. “Our vision, and Rosewood’s vision, is a sense of place,” says Halliday. “The hotel has a lot of wonderful history over the years and we’re just trying to maintain it. I think our hotel is going to be, small hotel, big personality.” That, it seems, is something that will never change.